Unbreathable reminds me of an intergalactic version of The Vampire Diaries. You've got a strong female protagonist, two swoon-worthy brothers that are both in love with her and not to mention one being good and the other evil. Fans of all sorts will enjoy this exciting page-turner from a new, promising author. This book, in simplest terms, is sci-fi. It’s sci-fi with a “new planet, new race” idea. It's also quite frankly, the kind of story I tend to stay away from. But evidence shows that I’ve been known to like it once it a while. I was actually a little bit hesitant to start reading because I'm completely aware of my relationship with sci-fi and I didn’t want to read something that I’d end up hate. The verdict after reading: amazing. Laziaf’s writing is very strong on emphasis. There are a lot of short and cut off sentences to express danger or urgency. As well, we’re dealing with a book about wars and rebellion so that writing style is needed. But Laziaf's writing style isn't her only strong point. MC Lissa’s thoughts are show to be genuine and intelligent, making her a likeable protagonist. I can see where that could’ve been a problem, but as a reader, I felt very in touch with the character. The characters in this novel fit together like a puzzle and no one stuck out at all. Books are somewhat like machines or clockwork; every piece needs to be crafted to precision to make sure the device itself, works. Characters that don't affect the story or keep it moving are not worth writing about. Lissa starts out as self-conscious and ends up changing into a warrior that I've grown to admire. The smooth transition also helps the story grow at a perfect pace. My intrigue stems from characters, Julian and Rowan. Brothers that completely differ in personality but somehow are both still loveable all the same, despite one actually being evil. Julian and Rowan also add to the teenage appeal by making an unofficial love triangle. My issue(s) are quite small. It’s predictable. Lissa has an "MIA Parent Situation" and she also happens to be ________ (written out due to spoiler reasons). When an adult figure was introduced, I correctly guessed that it was a relative of Lissa -and I was right. Even if its intention was to be predictable, that's irrelevant because it was somewhat of a turn off. I prefer it when the author keeps us guessing and slaps us with the pen with the actual outcome. My only other issue has to do with the story. As a singular story, it’s enjoyable and original. As separate ideas, you get a cliché mess. I’ve been told that a multitude of clichés piled high doesn’t make an original story. From this, I think it was Laziaf’s style/characters that saved the story. It could’ve broken apart and gone wrong in so many places, but didn't. My argument includes ideas that happen a lot in fiction, whether it be books or any other fictitious media like ". It wasn’t hard to overlook the clichés because of how they weren’t too much of the main storyline. But more so, thinking about them made gave second thoughts on the story. I recommend this book to Dystopian fans, despite it being sci-fi. This story reminds me of what could happen in Winter by Marissa Meyer. It’s an overall good idea if you think about it in big pictures versus minor details. She's also 20, a sister, a YA writer, book reviewer, and designer. 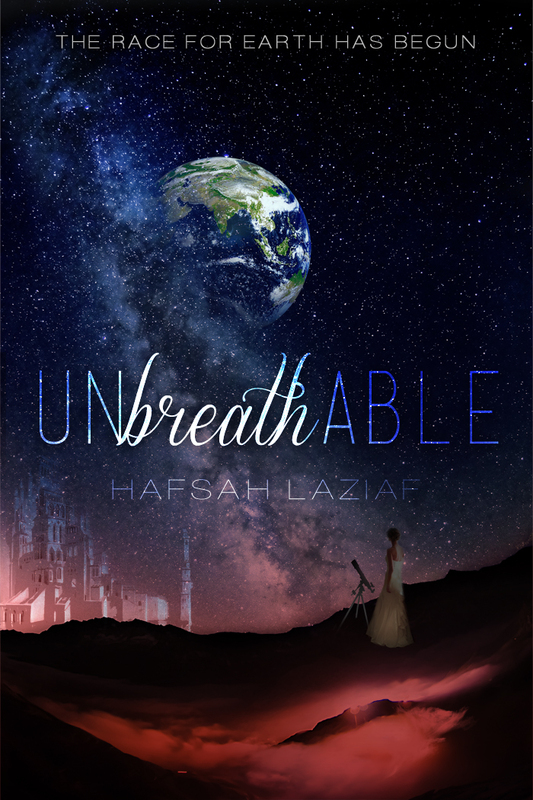 UNBREATHABLE, a YA scifi set in space, is her first novel. In addition to being an author, Hafsah is also a blogger. 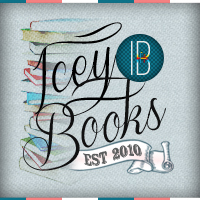 She began IceyBooks in late 2010 after many months of reviewing for her local library's teen blog. 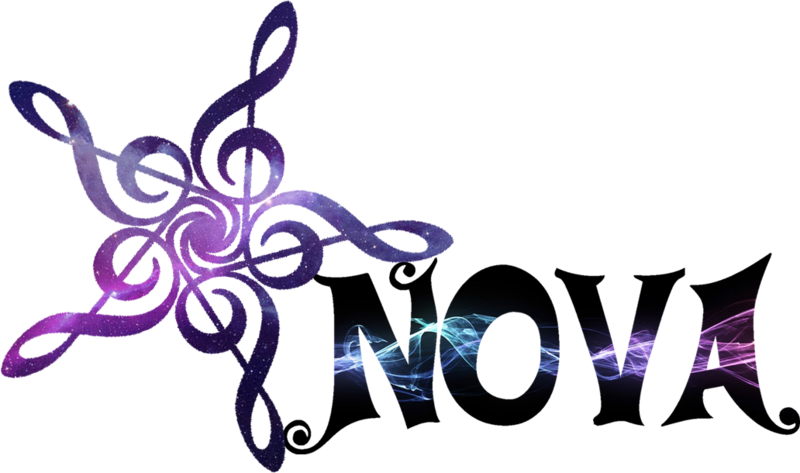 What started as just reviews has now expanded to interviews, giveaways, cover reveals, and blogging tips, and is now co-hosted by her sister. Before falling in love with books, Hafsah was a designer, a hobby that began at the age of thirteen. In late 2011, she opened IceyDesigns and began professionally designing blogs, websites, print work and providing social media/marketing solutions to both authors and bloggers. Designing will always be her passion - but words are just as awesome. Glad to see you liked it! Can't wait to actually read this. Penciling in to read it before it's release date.